Grocery shopping is just one of those things that you have to do in life. It might be one of the things that you dread having to handle from week to week, or you might see it as a time that you get to focus on something other than work. For your aging parent, however, this task might be much more than just something else that they need to put on their to-do list. Many of the challenges and limitations of older age can make heading to the grocery store for their weekly shopping much more difficult and stressful for your parent than it is for you. Fortunately, there are ways that you can help to reduce the stress and make this task more approachable so that your parent can continue to exert their independence through handling it on their own. Have a staples list. Sit down with your senior and make a list of the staple items that they keep in their kitchen and their home. This should be all of those things that they use on a daily or near-daily basis and go through frequently. Once you have this list, note how often you usually need to buy these items. This way you can bring this list with you to the store, know what your parent needs, and not worry that you are going to forget something important. Organize your list. A shopping list is a must for any visit to the grocery store. Have your parent help you write out everything that they need to buy, and then go through and organize it. By categorizing the items by what department they are in in the store, and then writing these sections out by the order in which you visit them when walking around the store, you can help to make any trip faster and smoother, and minimize backtracking or forgetting to grab things. Give them a task. Heading to the grocery store can be particularly stressful for a senior suffering from Alzheimer’s disease or another form of dementia. This does not mean, however, that they should be left out of the task completely. If they want to get out of the house and manage more of their own tasks, or you think that it would benefit them to be more active, keep them engaged and limit their confusion and distraction by giving them a specific task. Have them cross off items as you find them, give them something specific to find in each aisle, or let them keep track of coupons. This will keep their mind active and help them to feel involved and important while also limiting stress and anxiety. Starting home care for your aging parent is a fantastic way to help them to maintain more independence while also ensuring that they get the care, assistance, and support they need to address and manage their challenges and limitations throughout their later years. When it comes to activities of life such as grocery shopping, this in-home senior care services provider can help you parent maintain more of their independence, exert their autonomy, and make the nutritional choices that will help ensure that their body stays strong and healthy. 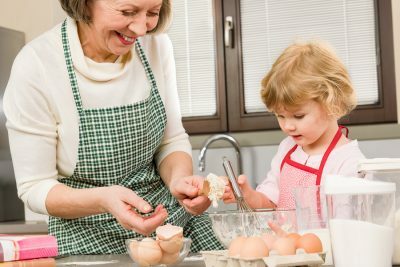 They can accomplish this by providing reliable, safe transportation to the grocery store when your parent wants and needs to go so that your parent does not have to wait for you to be able to do it with or for them as well as helping them to choose the right foods, carry groceries, and navigate the store safely. Managing this errand on their own can help to boost your parent’s mental and emotional health and keep them engaged and active later in life.